We’ve covered seasonality – when it comes to coffee and hot beverage flavors, as well as promoting convenience stores with seasonal traffic and applicable programs. And, we’ve even covered the seasonality of craft beer, and how drinkers’ tastes and preferences change over the course of a calendar year. Fall is officially here, and with that the season’s favorite flavors and new brews from some familiar breweries are available. Here’s what our team is looking forward to in craft beer. Because the brewing process of craft beer is so long and involved, much planning goes into releases and debuts. With more and more breweries paying homage to beer’s deep German heritage, Oktoberfest-themed beer continues to be a special time of year many people look forward to. In most cases, fall-themed brews have already been on shelves and draught for well over a month which means we’re anticipating winter’s best beers and deep, warm flavors to takeover taps starting this month. Summit Brewing Company of St. Paul is in its 30th year and part of its anniversary celebration included a special lineup of brews, and the Unchained Series numbers 21, 22, and 23 are part of that. In New Ulm, Minnesota, they celebrate the start of every winter – each one unique in its own right – with a unique, limited edition Snowstorm different from years past. When things are a hit in the beer world, expect a sequel. That’s true in the case of New Belgium when they announced a philanthropic joint effort with Ben & Jerry’s ice cream last year. They are following up with Chocolate Chip Cookie Dough Ale, which again benefits Protect Our Winters. While beer drinkers don’t always need a reason to enjoy their favorite beverages, sometimes it’s nice to give them one, especially around the holidays when needs are more evident and giving is encouraged. 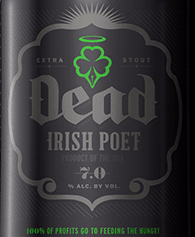 In that vein, Finnegan’s of St. Paul, the brewery famous for turning beer into food, is debuting its wintery release of Dead Irish Poet. The extra stout is dark, complex, and smoothly roasted. Making a steady return to the craft beer scene is dunkel beers, which are dark lagers. They are associated with the Bavarian region of Germany, and the composition is very malty and very little hop bitterness. Who better to celebrate German heritage than the folks in Chippewa Falls, WI, at Leinenkugel’s. Their new winter brew, Bavarian Dunkel is being released this month at Leinie Lodge onsite. Beaver Island Brewing Co.’s Tip Up Winter Ale – A late kettle of young spruce tips melded with smoked German beechwood malt makes this ale warm, welcoming, and worth the wait. Bell’s Brewing Christmas Ale – Michigan’s own malt and hops make this Scottish ale toasty and toffee flavored. Castle Danger George Hunter Stout – The North Shore of Minnesota is prominent for craggy rocks and expansive views of Lake Superior. 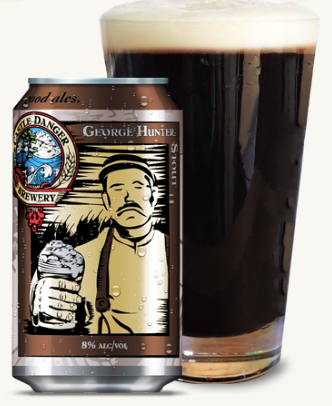 So named after a hearty immigrant who operated Iron Range Brewing Co in the 1800’s, George Hunter Stout is big, roasty, and full-bodied and built for northern winters. Boulevard Brewing Co.’s Snow & Tell – Another Scott ale that features prominent toffee and caramel notes with a hint of smoky spice. And, almost as good as its flavor is the Snow & Tell label that’s reminiscent of handmade holiday cross-stitch. Invokes so much coziness!